Any errors related to the driver and custom software or packaged software that does not work properly with QODBC.Example, Prepared Statements in JDBCODBCDriver. when I execute the above code at line 5 it throws an error as below. 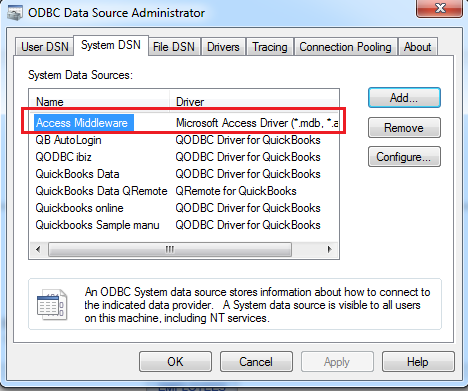 Few of the features of ODBC are not support on QODBC, what is the workaround? You are using a function/feature which is not supported by QODBC driver or maybe it's not a standard ODBC call. 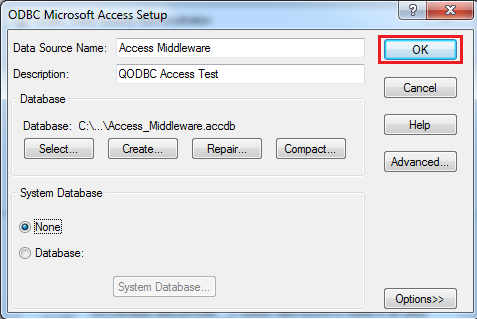 To overcome the issue, you can use MS-Access as middleware, i.e. 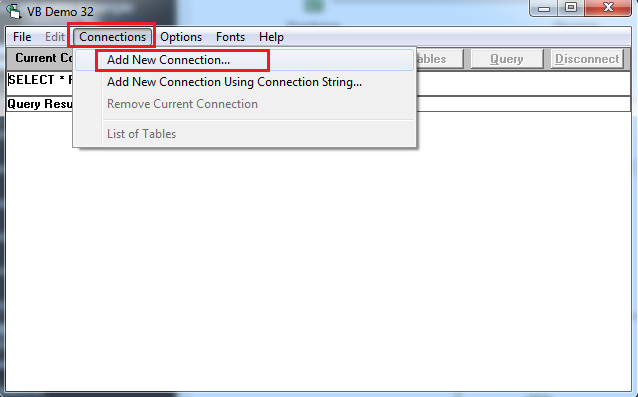 Create linked tables in MS-Access, create a DSN of your ms access database, connect your application to MS-Access DSN. 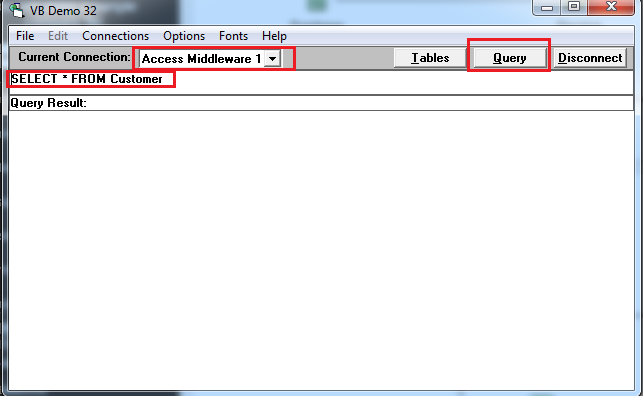 Your application will connect to MS-Access, MS-Access has linked table connecting to QRemote or QODBC. 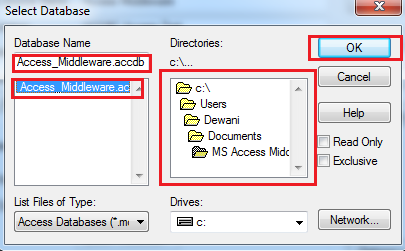 Assuming you have created an MS Access file and have created linked tables. 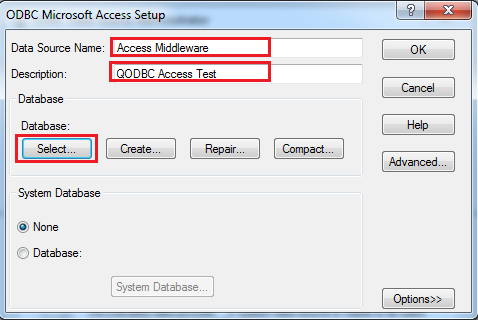 Let us create an MS Access DSN that will point to Access database file which we had created in the above steps. 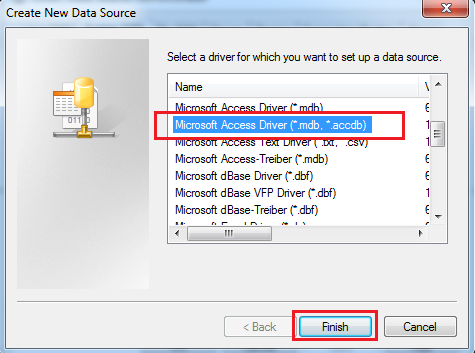 Please follow below steps for creating MS Access DSN. 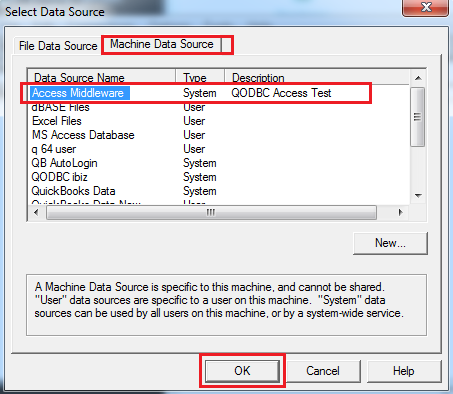 NOTE: In this example, we are using VB Demo for testing purpose, Once you are able to connect and query using VB Demo, you should be able to use the MS Access DSN ("Access Middleware") on your application. 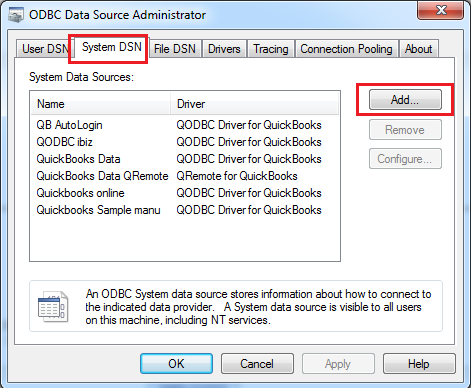 For 64-bit : Start>>All Programs>> QODBC Driver for use with QuickBooks>> Configure QODBC Data Source 64-bit>>Go To "System DSN" Tab>>Click on "Add"